Baby Elephant on a PopSocket Grip. I love illustrating baby animals and cute baby elephants are the best. I love to watch videos of them frolicking around their mother’s legs, being silly and just enjoying themselves in the hot African mud. They are truly joyful creatures. I love to illustrate them and try to capture their exuberance for life. I put a lot of time and thought into my animal art works. I want to convey their life factor. 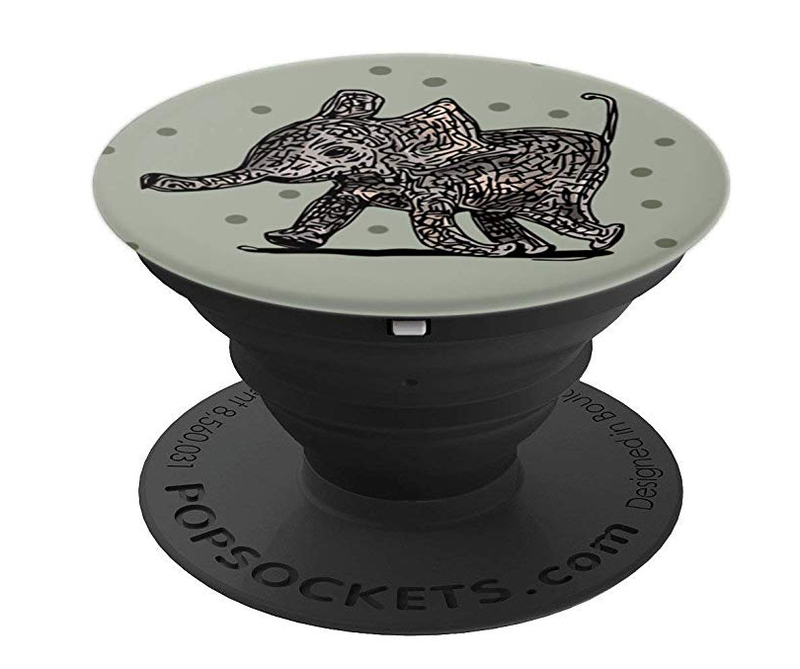 I created this Baby Elephant PopSocket grip for Elephant Lovers. I hope you love it too! Please pass the link around.